Many patients don’t fully know how tooth decay, gum disease and oral issues happen, nor the best ways to prevent these oral problems. Surprisingly, having a healthy smile only takes a few easy habits that you follow every day. Brushing, flossing and choosing good foods are essential to great oral health. Use these tips to keep your mouth healthy through the year! The National Institutes of Health reports that tooth decay (cavities) is the most “common, prevalent disease” in both children and adults. Gum disease is a close second, affecting an estimated 64.7 million Americans (and that’s only counting the adults). The sad part about these two diseases is that they lead to tooth loss and a poorer quality of life. What’s even worse is that both are completely preventable if you eat right and take care of your teeth through good oral hygiene. Tooth decay can happen as soon as an infant gets their first tooth, which is why brushing starts then. Parents will need to do this for small children until about age 3 or 4 when they are able to brush and floss themselves with supervision. Unfortunately, 42% of children 11 and under have cavities. 28% of those 5 and under have cavities and 51% of 6-11 year-olds have cavities. The rate of untreated tooth decay in this age group is between 20% and 24%. By adulthood, about 92% of people have had cavities. This is especially true of people between 20 and 64 years old. That’s why you want to watch your sugar intake and follow a few key oral health tips. Sugar can taste so sweet, but all that sweetness is actually destroying your oral health. In fact, sugar is the #1 thing that leads to the decay of teeth and gum disease. That’s because oral bacteria and the acids it creates in your mouth come from sugar. When you eat, sugars in your food are eaten by mouth bacteria. The substance that is then expelled is a sticky film called plaque. That plaque sticks to your teeth instead of being swallowed, and what’s worse is that it is acidic. This is because mouth bacteria consumes the sugar and then creates an acid with that consumption. 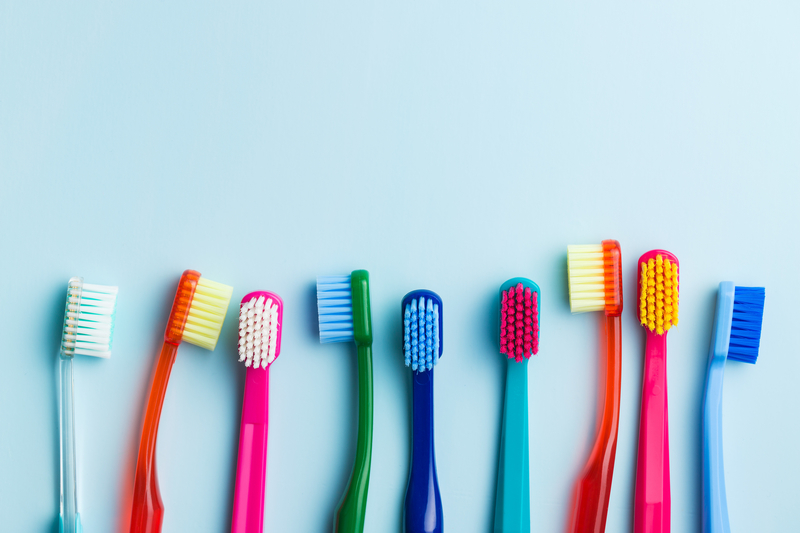 If you don’t brush and floss your teeth enough, that plaque will make a home along your gum line, and the acids in it will work to break up your tooth minerals. The teeth are essentially hard-packed minerals, which is why they are so hard. However, plaque weakens the tooth and creates tiny cracks and openings, causing decay towards the inside of the tooth. You can have surface cavities that change color and are visible, but many cavities are inside the tooth. With enough decay, plaque, bacteria and decay reach the center of the tooth where your blood vessels, nerves and soft pulpy tooth tissue are. Then, that bacteria creates infection that becomes painful very quickly. The best way to prevent oral health diseases is to brush your teeth. We can’t stress this enough! The American Dental Association recommends brushing your teeth at least twice a day for two minutes at a time. That ensures that all your teeth get cleaned properly. Brush with fluoride toothpaste that has the ADA Seal of Acceptance on the label. This means that the toothpaste has been tested and found effective in reducing your risk for tooth decay and gum disease. Toothbrushes should be discarded about every 3 months, or when the bristles start to become frayed. Use a soft-bristled brush that will be effective for keeping your teeth clean while not being too aggressive on your tooth enamel. Flossing should be done 1-2 times a day. Make sure to floss up into your gum line to remove food and particles from the teeth. Use new floss every time. Mouthwash is also beneficial for many patients. This is an oral mouth rinse that helps kill bacteria that cause bad breath and oral decay. We mentioned fluoride toothpaste, but what is fluoride? Fluoride is a naturally-occurring mineral in the earth’s crust. It is proven to help strengthen and protect tooth enamel and when the United States introduced fluoride into public water sources, tooth decay statistics dropped by about 25% in just a few years. 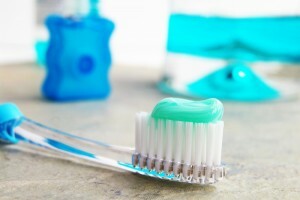 You can get fluoride through toothpaste and other ADA-approved products on the market. If you get cavities fairly easily, ask your dentist about dental-grade fluoride products. Many people don’t realize that certain substances or medications that they take every day may be hurting their oral health. Dry mouth is a common side effect of many medications. This may not seem like a huge issue, but the lack of saliva is what will damage your teeth and gums. Saliva helps maintain the pH levels in your mouth. It can help neutralize acids that would harm your teeth. Acidic foods and drinks will constantly strip some minerals from your teeth, weakening them. However, when you eat, saliva helps bring minerals to your teeth to rebuild them. Dry mouth prevents that and allows mouth bacteria to fester, which can make your teeth decay faster. Your breath will also start to smell from the bacteria. Medications can also cause soft-tissue reactions such as discoloration, oral sores, inflammation and can alter tastes. Some people experience abnormal bleeding in their mouth as well. Always check your medication labels and ask your dentist about the medications you take. 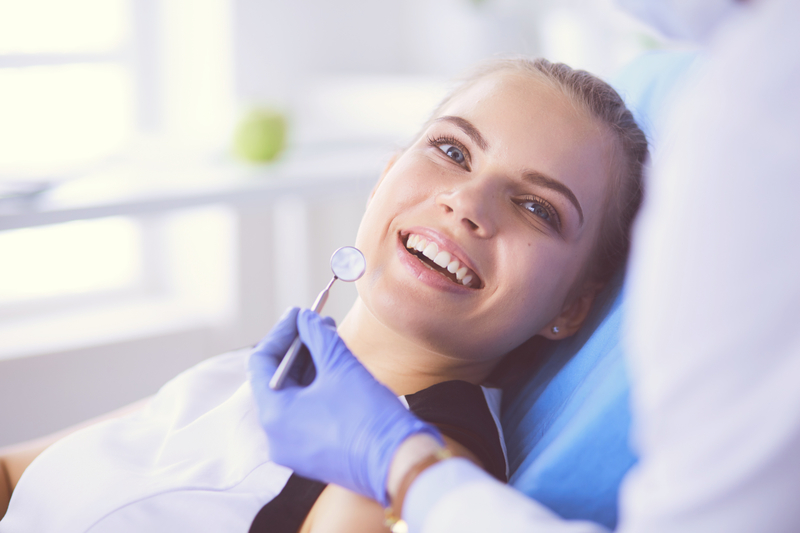 Did you know that you need to visit the dentist at least twice a year? 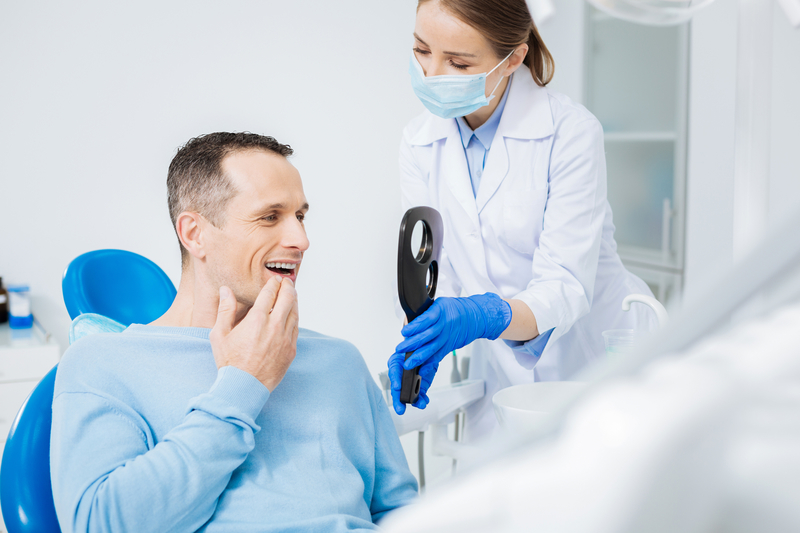 The American Dental Association recommends these dental visits every 6 months or even more frequently if you have gum disease or tooth decay. These are the only visits where you can know for sure if you are affected by oral diseases, so don’t skip them! Call Dr. Evanson’s office today at (720) 409-0008 to schedule your appointment!